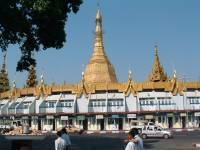 Yangon, Bagan & Mandalay and Myeik Islands. After breakfast, transfer to airport for your short flight to Bagan. 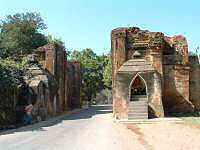 On arrival at Bagan, you will be met and transferred to your hotel. After lunch at a local restaurant our afternoon tour includes Ananda Pahto, Shwesandaw Paya, and sunsets at the Mingala Zedi Temple. Dinner at local restaurant. After breakfast, transfer to airport for the short flight to Mandalay. On arrival, you will be met and transferred to your hotel. On the way, we will visit Mahamuni Paya, a Marble factory and a gold-leaf making works. Lunch at a local restaurant. 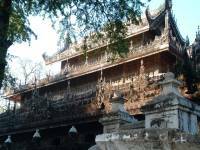 Our afternoon visits include Mandalay Fort, Shwenandaw Kyaung, Atumashi Kyaung, Kluthodaw Paya and Mandalay Hill for the sunset. Dinner at hotel. In the morning we will take a trip to Amarapura to visit Maha Ganayon Kyaung, then drive to the river, cross it, then take a donkey cart to Inwa, the ancient capital, to visit Yadama Semi, Bagaya Kyaung, Nanmyin Maha Aungmye Bonzan Lunch at a local restaurant. After lunch we will visit U Bein's Bridge and Bagayu Kyaung in Amurapura. Dinner at hotel restaurant. After breakfast we take a cruise on the Ayeyarwaddy River (about 11km) to the ancient city of Mingun. Here we see the Mingun Bell and the enormous Mingun Paya, which you can climb to enjoy the spectacular view of the river. We will also visit Pondaw, Hsinbyume and Settawya Payas. Lunch at local restaurant after crusing back to Mandalay. After lunch, transfer to airport for return flight to Yangon, perhaps stopping off at the 'Snake Pagoda' or other sights if time permits. On arrival at Yangon, transfer to hotel and dinner at hotel. Transfer to airport for your flight to Kawthaung. 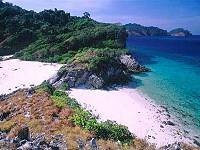 Pick up &transfer by boat to the Myeik Islands in the Andaman Sea for stay of 6 nights. 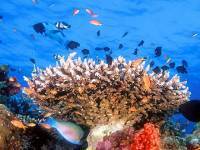 At leisure - beach or snokelling &diving. Transfer by boat/road to airport for your return flight to Yangon to connect with your flight to UK or your next destination.